On Friday, November 15th, and Saturday, November 16th, the members of Team Equality Florida will join hundreds of other individuals as we ride our bicycles or crew from Miami to Key West 165-miles. Our journey will be one filled with hope, filled with pride, and filled with the dream of a future free of AIDS. This year will mark the 16th year of The SMART Ride journey and the second year of Team Equality Florida's participation. Along with each of our individual goals, we have set an ambitious goal as a team to raise more than the required $1250 because we believe what we do makes a difference (and because 100% of the money you donate will go back to the community). This is where you come in. The event guarantees that every penny that is raised (with your help) will be given to AIDS Service Organizations and directed to prevention, education and direct services. 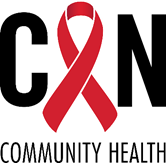 Together we can make a real difference, we can change the world, and help free future generations of living with HIV while helping those already affected, infected or at risk today stay healthy.